I discuss Panasonic’s P2 technology and workflow in Part 2 of my article about the Panasonic AG-HVX200 camera that appears in the most recent issue of New England Film. As part of my research for the article I put together a music video shoot using P2 workflow and spoke with several filmmakers about their experience including Barry Braverman. I spoke with him about his perspective on P2 technology and its implications on workflow. David Tamés: What do you see as the role of P2 technology in production and post-production? Barry Braverman: P2 is Panasonic’s implementation of the SMPTE MXF format, Sony has XDCAM, their MXF format. P2 is a transport stream, very similar to any other transport stream, except it was created by the entertainment industry to facilitate the movement of files through the production process from image acquisition, hopefully, ultimately, through the digital intermediate. Digital cinema, for example, is an MXF format. The idea of MXF is that you have your audio and video, but you also have your metadata which is really at the focus of a lot of our discussion because metadata, accurately tracking metadata, represents for studios and producers a significant potential savings of money, because you can track for example, who shot this, who modified it, who graded it, who composited it, you have a record of access to that clip, which is contained in the metadata which travels along on this transport stream. And it’s effective because there’s no change to the video data or the audio data itself. The data simply moves along the pipe and pulling along all this other metadata which is what we need to facilitate digital workflow. Tamés: Why did you get involved with P2 technology? Braverman: I got involved with P2 because it represents Panasonic’s foray into an IT (information technology) based camera, [Panasonic’s P2 cameras] are the first IT based cameras that anybody has really produced. In the sense that we record data onto a card, like you would record a [word processing or spreadsheet] document, or anything else. The good side is that gives us additional capabilities, such as adjustable frame rates but the down side is that we’re not always dealing with a video stream and our equipment and our workflows have always been predicated on a video stream moving from here to there. If you don’t have a video stream, then how do you deal with it? Tamés: So what kind of challenges does this new approach raise? Braverman: Many users are uncomfortable making this transition. I think one of the challenges from an image acquisition perspective at the moment is limited storage, of the P2 cards, is probably the biggest, issue. Another challenge, from an operator’s point-of-view, is that since the camera is so quiet, it’s hard to tell when it’s running. Another challenge is archiving. Where’s your backup? This is the really big challenge, you don’t have original tapes to go back to, so that’s another thing you have to provide in your workflow, sufficient redundancy and protection to protect against loss of data. Tamés: I think the possibility of data loss scares many producers. Braverman: Early on in using P2 there have been cases of lost data for a variety of reasons. So not only do you need a workflow that has sufficient redundancy in place, you also need to understand when a clip is defective and corrupt, and it does happen. If you’re recording to the FireStore [hard drive recorder], if someone pulls the FireWire cable out, what happens to your show, or your clip? That clip has to be repaired. So any MXF device, including the HVX200, any P2 device, has the capability to repair clips, or disks, or cards. That’s a basic functionality because the transport stream is subject to corruption. Tamés: Any recording system is subject to failure, videotape has it’s own set of problems. Braverman: Tape is subject to dropouts, signal level problems, shrinkage, longevity issues. Betacam is stable for about fifteen years, consumer tape is even shorter, in two years you can begin to see signs of degradation. Tamés: I guess your media is never really safe, no matter what it’s stored on. 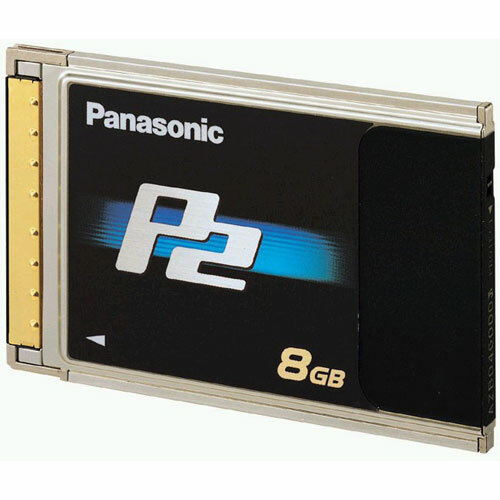 Clearly, the P2 card is simply a way to move media from the camera to a nonlinear editing station, from which you have to make your own archival backup. So how are we going to preserve our media? Braverman: I think the biggest part of it is organization, be very careful to name things, name folders, and file folder hierarchy, it becomes really important now because of the use of servers, and locating files by servers, and database search engines, because ten years from now you’re only going to be able to find clips that you adequately and satisfactorily logged today. So that takes time and to understand what database you’re using. That’s what HD Log on the Mac side is intended to get you into, so you can manage [your media]. HDLog can also be used for other things. it’s also a viewer, and it allows you to edit your metadata. While you’re shooting [and attaching metadata to clips] that metadata is forever linked to the clip, it’s never lost, unless you bring it into Final Cut Pro (ouch). FCP and Avid do not currently use this metadata, Avid uses the fields for their own metadata, deviating from the MXF standard. Tamés: So it looks like HDLog can help you keep track of your clip metadata even if your editing system does not preserve it at this time. Braverman: The Panasonic P2 Viewer [for Windows XP and Windows 2000] is not as strong [as HDLog], it’s basically a free piece of software that comes with camera. These products are all in their infancy as manufacturers get feedback about how people are actually using them. Tamés: Are there some things that a P2 workflow is better for than others? Braverman: The camera works much better in it’s present state for commercials and music videos rather than long form documentaries or events where the camera needs to be running all of the time. That’s the the thing to remember, if you’re rehearsing and doing specified length scenes, then the camera works very well, because then you can anticipate if you have enough room on the card for this shot, but if you’re doing a documentary thing, you don’t know what’s going to happen, it’s a whole different deal. Tamés: How would you compare Panasonic’s P2 to Sony’s XDCAM? Braverman: XDCAM requires a playback device, you need a disk reader, a piece of hardware to play it back. Whereas the P2 card requires only a Cardbus compliant card slot. You can buy a card reader at a CompUSA for $30.00. There’s a quantitative difference in terms of orders of magnitude between the [cost of] integrating P2 into an IT based workflow and the integration of XDCAM into a workflow. Having said that, the advantage of XDCAM includes [being able to] offload disks at very high speed, and you can upload them to a server, but you still need a rather expensive disk player. Theoretically out of the camera you can upload through ethernet to a server, otherwise, you have to deal with the h ardware of a disk reader. I love what Sony did with the disk, they are very robust, very well engineered, very resistant to heat and humidity, and actual live moisture, because the disk spins off any excess moisture that builds up on the disk. Either route (P2 or XDCAM) in terms of technology makes sense to me. With the P2 route you have lower capacity to start with, the challenge of P2 is the lower capacity, whereas with XDCAM you have 23 GB on a disk, you have a much higher capacity out of the box. Barry Braverman is a Hollywood-based cinematographer recognized for his work on National Geographic specials, commercials, and music videos. does P2 store automatically format P2 cards for reuse by camera, once the copying from P2 card to P2 store is complete? if yes, what happens if there is an error in copying from P2 card to P2 store and P2 card is formatted by P2 store? do i lose all my data? Yes, the P2 store can reformat P2 cards so you can use them again right away without spending time reformatting them in the camera. If there is an error in the P2 to P2 Store transfer, you should try it again. Make sure you are using the “Copy + Verify” option. Also, make sure that the P2 store is not disturbed in any way during transfers. It can ber temperamental. If you do a copy and verify and you get an error, you then need to determine if the problem is the P2 card or the P2 store. At this point you should try downloading the card from the camera. If that fails, it’s time to call your local support guru or the rental house you got the camera/cord from. There may be some disaster recovery they can do. I just shot with the HVX200 and firestore harddrive. After transferring footage onto another harddrive- this drive crashed and the files became corrupted. Is there any way to repair these files? Will P2 Log Pro do the trick? Would like to know before I invest $200 in the program. It depends on the nature of the file corruption. If it was a “soft crash” a utility like Disk Warrior on the Mac or equivalent utility under Windows might do the trick. It’s important to make sure your media is always in THREE places. This reduces the risk of data loss if a hard drive becomes corrupt. I call these the “Working Copy” the “Backup” and the “Archive” this is especially important with P2 media, since you don’t have tape as one of the copies, providing an “Archive” of sorts. A program like P2 Log does not deal with disk corruption problems. Demoney, it’s not that the P2 cameras are not good for documentary type filmmaking, it’s just that the P2 workflow requires card changing and shuffling, so that it’s not as convenient as tape. With an HDV tape you can roll for 60 minutes before changing tape. This means you can roll for a long time and change when it’s convenient, as long as it’s before the 64 minute end of tape. P2 just requires more media management. Sports folks like long lenses and the ability to quick zoom, so cameras with interchangeable lenses are favored for sports. I can’t get into a long “what’s the right camera” thing here, but there’s lots of interesting discussion on “which camera” at DVXuser.com and DVinfo.net. Demoney, one more thing, given that P2 capacity is now up to 16GB with 32GB cards around the corner, many concerns about the P2 system are going away. My only real concern with P2 has been capacity and cost per card. As far as reliability, they are rock solid. I had a FireStore fail me recently on an interview shoot, and a P2 card I had as backup saved the day. I trust P2 cards, they are rock solid reliable. I’m less crazy about tape, and I certainly would not trust a Firestore when you only have one chance to capture something. Patrick, For all practical purposes, Sony’s SxS media used with their new XDCAM EX cameras and Panasonic’s P2 media are pretty much the same thing. The biggest difference for all practical purposes is that P2 cards are larger (Cardbus form-factor) than the smaller SxS cards (with a smaller Expressbus form-factor) and I do believe the P2 cards support a higher data rate, but that’s not really an issue since Sony is using a lower-data rate codec for XDCAM EX than Panasonic’s DVCPRO HD. Now most people will tell you, DVCPRO HD looks better without any MPEG artifacts like XDCAM EX but on the other hand XDCAM EX offers longer recording times.